We’re coming up on our year anniversary this month of our return from our around the world trip. Though nearly twelve months have passed since our days on the road, our global adventures don’t seem that far away. Remnants of our travels surround us. 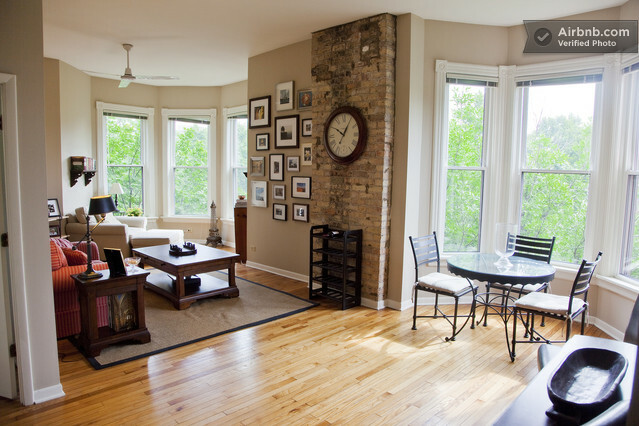 In the historic neighborhood of Old Town just north of downtown Chicago, we’ve created a home for ourselves in the form of a travelers’ den. A hand-carved chess set from Zambia sits on our coffee table, a tea set from Burma at the foot of our ottoman and a wooden shelf from northern Thailand is lined with guidebooks. A montage of black and white portraits of the orphans in Zambia puts our days in check and a world map suspended above a well-worn sofa, inspires adventures to come…Here, we feel at home. While we dream up our next travel adventure, we’ve been trying to figure out just what to do with the 25,000 photos we captured from our journey. Enter: Easy Canvas. Easy Canvas Prints is a canvas creator that turns your photos into art. We were thrilled when they recently contacted us to do a review of their canvas prints and offer a giveaway to our readers. Thumbing through thousands of photos from our travels, it was hard to decide which photo to choose. We wanted something simple yet memorable. With the red-robed, stoic Masai Warrior against the great, green earth of the Ngorongoro Crater in northern Tanzania, this photo stood out. We were thrilled to receive the 16 x 20 canvas print from Easy Canvas and were really happy with how it turned out. Because it’s on canvas, it looks and feels more like a painting of a photo than an actual photo. For the photograph we picked it turned out to be a good fit. There are several ways you can customize your print. You can select the border wrap (depth) of .75″ or 1.5″ and you can choose the side of the canvas as either solid color, an image wrap or mirror wrap. We selected the .75″ and image wrap and were extremely pleased with the results. Now it’s your turn. In time for the holidays, we’re offering a giveaway for a free 16 x 20 print. If you’re looking for a great gift for a traveler friend or just looking for a creative way to display one of your favorite travel photographs, it’s easy to enter. Simply leave a comment below (or on our Facebook page) describing the photo you’d like to turn into a canvas. Feel free to share a description or link to the photo and we’ll select our favorite photograph as the winner of the contest. If you’re looking to make some more of your own prints, “Like” Easy Canvas on Facebook and they’ll give you 50 percent off your next print. This contest is limited to readers in the US or at least those that have a shipping address in the US. It will run for a week and we’ll announce the winner next Monday, December 12. Our print and this giveaway are sponsored by Easy Canvas Prints. However, the review of this product is our own opinion. Winner, winner, chicken dinner! The canvas print giveaway contest has now ended and now comes the hard part – choosing a winner. It was difficult to pick just one after seeing so many great travel photos, but what would a contest be without a winner? So, the winner is…@Wendy. Congrats, Wendy! Your picture of La Jolla really stood out with the beautiful sky in the background and the sunlit-green in the forefront. It will make a terrific canvas print. I hope I’m not too late. I just saw this contest and think it’s great. Here are a handful of photos that captured something special about my visit to each place. Seeing any of them on a canvas would be wonderful. I’m a bit new to the travel community and can’t wait to start displaying mementos from my excursions! Eric´s last [type] ..Where are they now… and where have they been? @Wendy – La Jolla is spectacular. Some times I wonder why I would live anywhere other than there. Very vivid – thanks for sharing. @Jill – really like the blue hue of the photo. From photos I’ve seen of Morocco, it seems like a photographer’s heaven. @Keith – I’m contemplating a Scotch right now after seeing the photo. @David – I love how in the subcontinent they make Buddhas as big as amusement parks. Then, I think, they must really laugh at our churches in the West. Cool pictures – thanks for sharing. 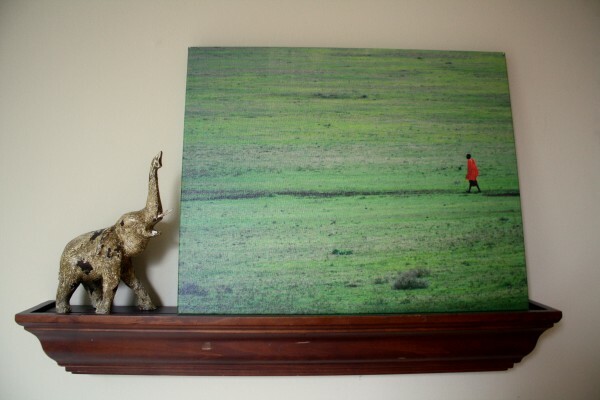 Beautiful canvas print (and house)!! 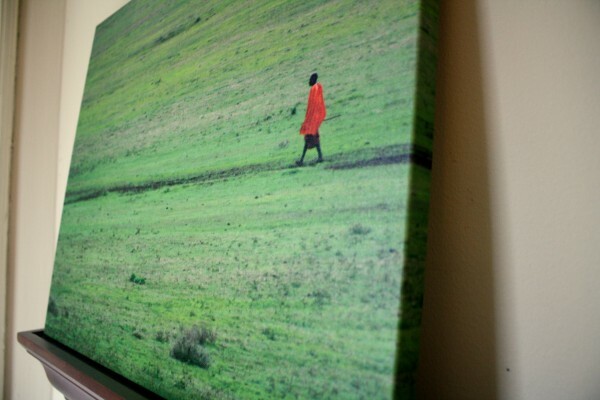 I love the look of canvas, so it’s really cool to see a service that makes photos in canvas prints. If I won, I’d want this photo of the Machrie Moor standing stones on canvas. It really captures the mystical beauty of Scotland. P.S. I know the shot only exposes a slice of the falls, but that’s the whole point. Sometimes we’re so focused on the big show that we neglect to see what else is in front of us. I had to pause and look around to notice the rainbow. Life is the falls, but it’s also everything that happens when we’re not planning, it’s about the rainbows we never expected. Now wouldn’t this look delicious on a canvas in my bedroom? I spent 13 months living in Buenos Aires, Argentina back in 2008. Here is a shot from the world famous Iguazu Falls in Argentina. The strength of the falls humbled me, I was surrendered into the glory of everything that was around me and everything that I could become when I just knew (and know) there was and continues to be a plan greater and more miraculous than my own. This photo reminds me of that surrender. Thanks! Hi Wendy – Thanks for stopping by. Great photo from La Jolla. It’s a favorite place of ours. Many thanks for sharing! It was taken in La Jolla a couple of years ago. I can still remember the November sun and the smell of the Pacific Ocean.